Lindsey is an Edinburgh based artist. Painting dominates her practice with drawing as a fundamental, underpinning aspect. Through her current work, Lindsey examines the urban environment seeking simple, overlooked observations with a fascination for the mundane but necessary. Lindsey was originally trained and practised as an architect and this background has gifted her with a passion for the built environment; the buildings and the spaces in between. She is intrigued and inspired by the alleyways, structures and derelict places which shape our towns and cities. Lindsey is drawn to structural urban elements: stairways, doorways, arches, bridges; points of transition / thresholds. She is interested in the way in which light interacts with the mundane; the transformative effect of sunlight and shade on something very ordinary; essential elements upon which we tend not to focus. Colour and perspective are important features of the work but the key focus is always the light. 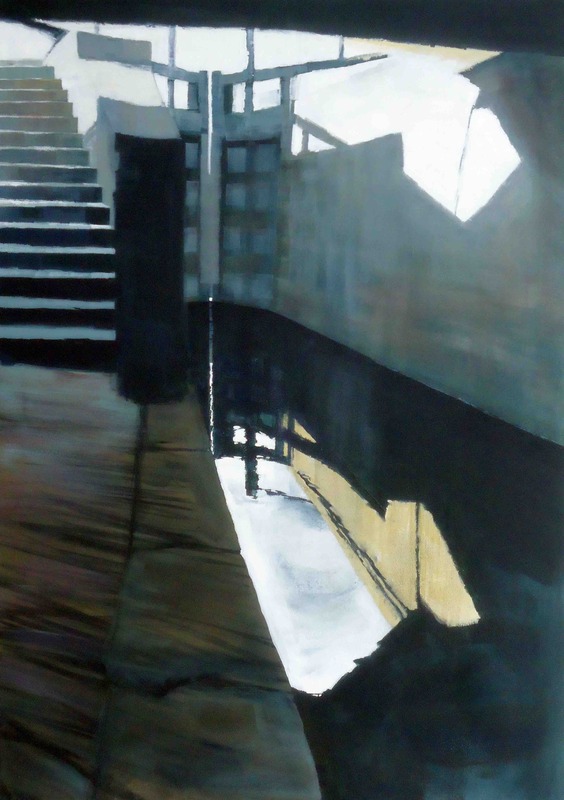 Lindsey’s work has been described as having a sense of narrative and an atmosphere of calm which draws the viewer in. She explores the rhythm of light and shade, often on the seemingly ordinary; seeing the everyday in a new light.